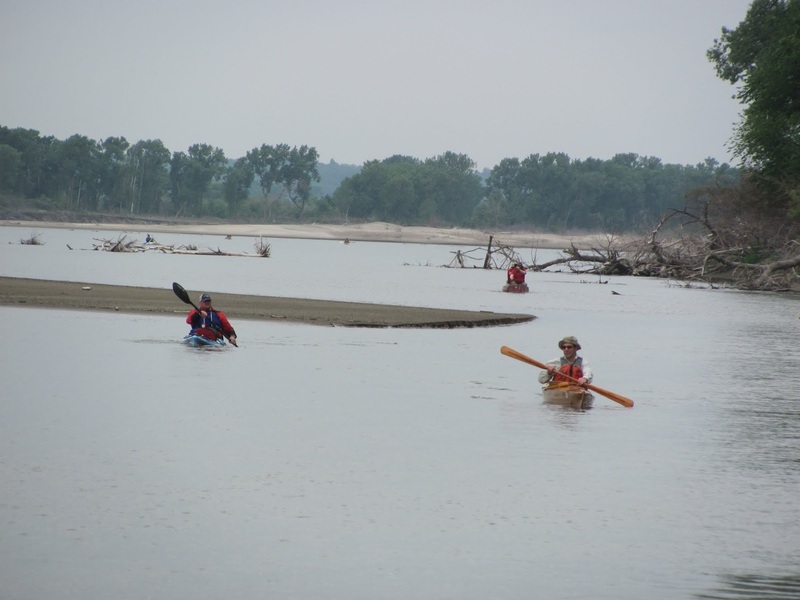 Yesterday, I participated in the 2012 South Dakota Kayak Challenge. After being cancelled due to flooding last year, the race rebounded mightily thanks to the efforts of Jarett Bies, Steven Dahlmeirer, and Cory Dietrich. 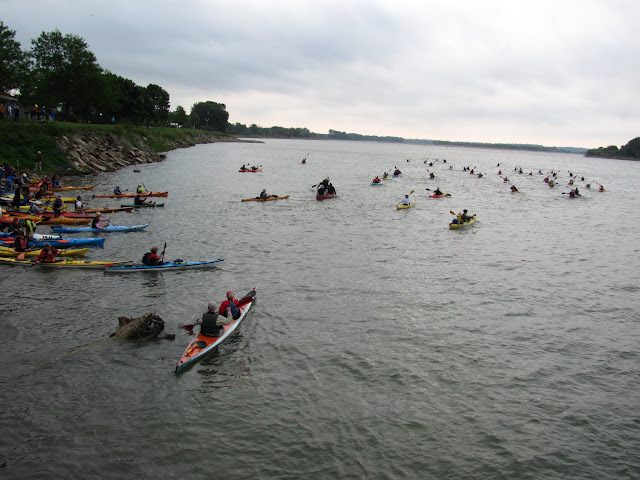 When I checked the registration numbers on the last day for registration, we had 169 paddlers and 147 boats. Final registered totals were around there; I haven't seen an official tally. We met at Riverside Park in Yankton, SD on Friday to check in and shuttle vehicles to Sioux City, IA. After riding a bus back, we had a safety meeting to go over the race, procedures, etc. This rounded out with drawings for free swag from Sun N' Fun. We also had a free supper provided by Meierhenry & Sargent L.L.P. 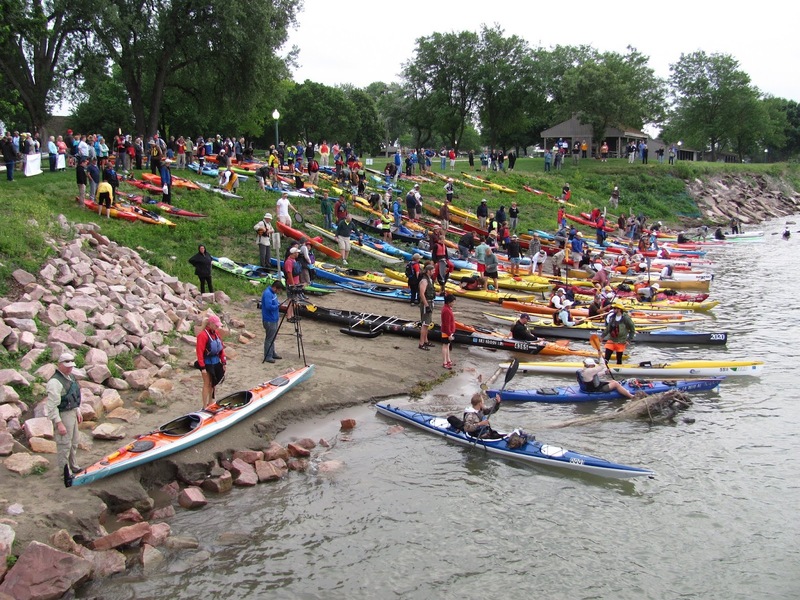 Again, many thanks to the many sponsors and volunteers of the South Dakota Kayak Challenge. 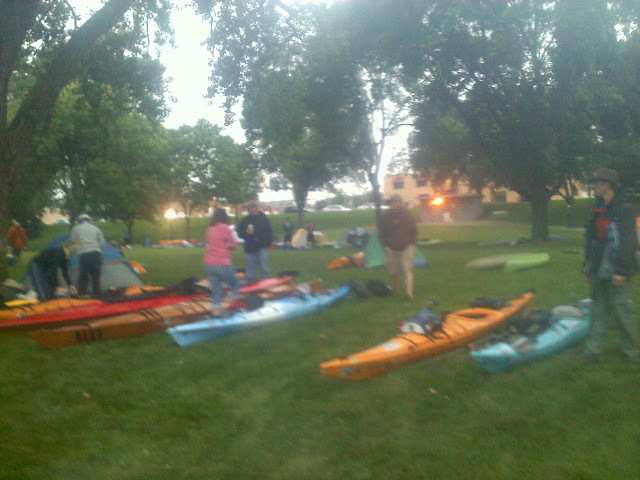 Many paddlers, myself included, camped in Riverside Park on Friday night. We did have a thunderstorm come through, but it was well past by race time. A change from the 2010 race was a check in process at the starting line of the river to verify everyone had required equipment. Our tents just came down as we prepare for the race on Saturday morning. The weather at the start was winds from 14 mph to 21 mph and temperatures in the mid 50s. By the end of the race, we had winds from 18 mph to 24 mph and temperatures in the upper 80s. In 2010, we faced winds from the 20s mph to the low 30s mph. The start was much cooler this year than compared to 2010; also, overcast. 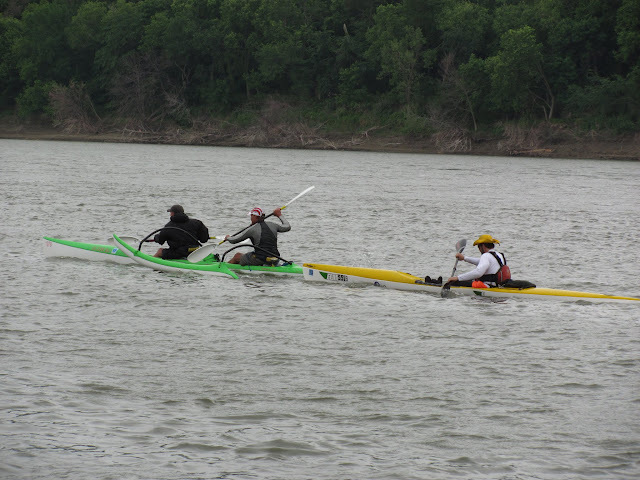 Most paddlers were donning splash jackets to start the race. Roger Debates, Matt Story, and myself lined ourselves up in the second row of racers. 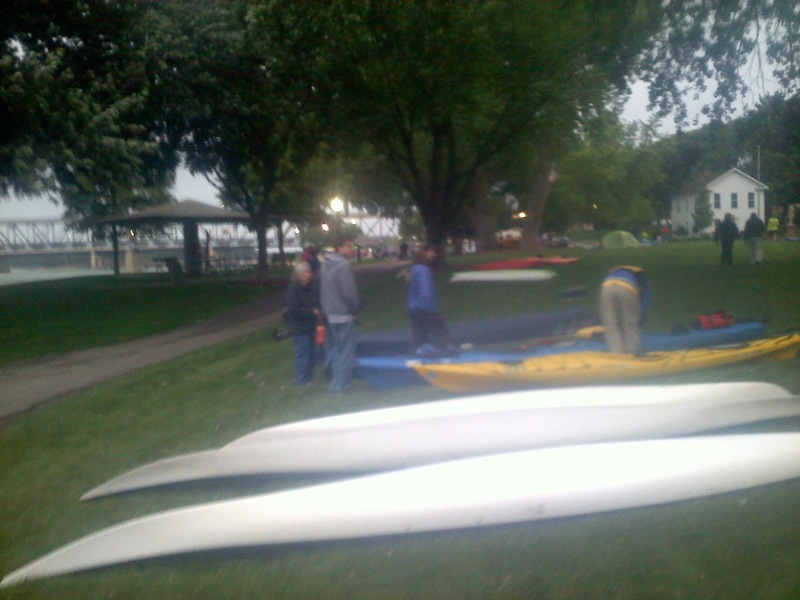 As the countdown to the start began, we began to creep our boats down to the water. We were able to do this, because the first row of racers were creeping out into the water. The only rule being that a portion of your boat has to be touching land. As the starting volley was fired, the first row of racers surged out. Roger, Matt, and I (and other second row racers) slid our boats into the water. Matt and Roger took off without immediately securing their skirts. I was a bit behind, because I first secured my skirt. But, I quickly made up for it by passing them on my way through the mass of paddlers crossing to the south side of the river. Matt, like Ryan Snuggerud in 2010, said I flew past. He had planned on trying to stick with me, but held off of my initial pace. He would not fall too far back though. I cruised through check points 1, 3, and 4; shouting out my number and receiving cheers as I continued onward. Along Goat Island, between checkpoints 1 and 2, my left thigh developed a nasty cramp/charlie horse. I stopped at checkpoint 2 to stretch, eat a Clif bar, relieve myself, down some Gatorade, and change out the batteries in my GPS. Matt was coming in as I was leaving. From his dad, Willard Story, it sounds like he was 5 minutes behind me at check point 1 and, maybe, 10 minutes behind me at check point 2. It sounded like Roger was about the same time behind Matt. 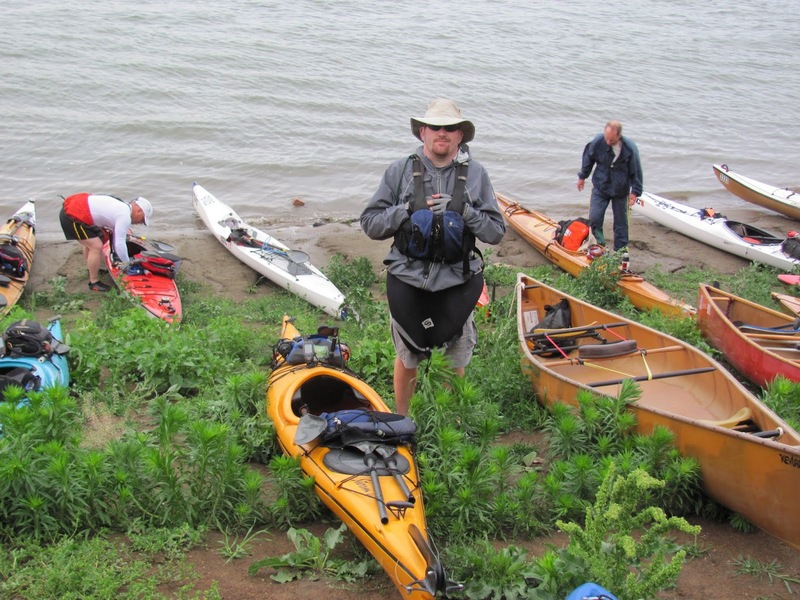 As you can guess from the previous paragraphs, I chose to paddle more solo this year compared to 2010. I did paddle briefly with a few other folks along the way. 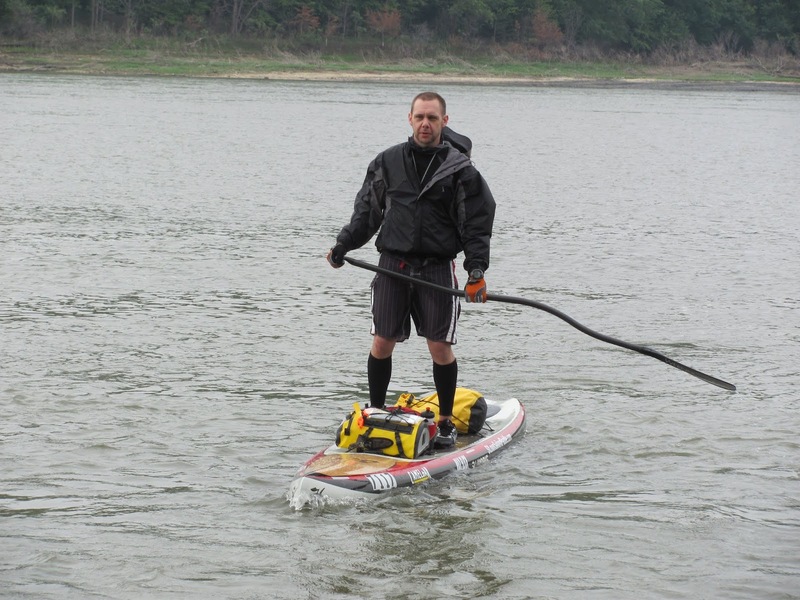 But, my goal was to minimize getting out of my boat this year. The only time I got out of the boat was at check point 2. Though, I nearly got out at check point 4 to use the facilities. I decided against it and pushed the last 16 miles to the finish. I am not sure exactly where I finished yet. I'll post it when the official results are online. I think I was 5th or 8th in the Men's Solo Adventure Division. I finished at 6:58 PM; 11 hours, 58 minutes after starting. My GPS recorded 69.4 miles. 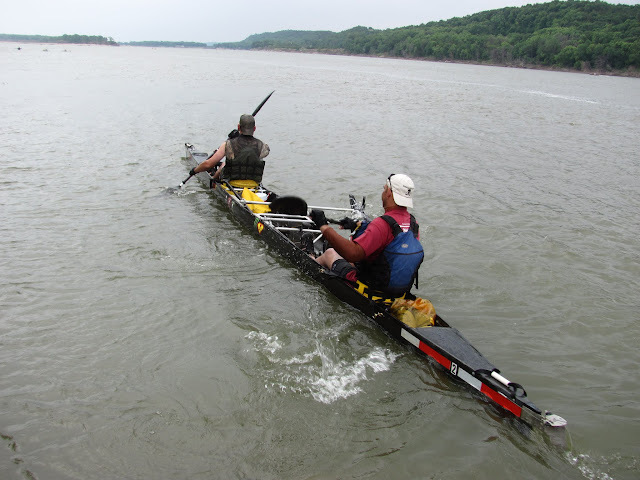 It is always a good thing when your actual mileage is less than the river mileage; it means that you did a good job cutting the river bends and, in general, reading the river. 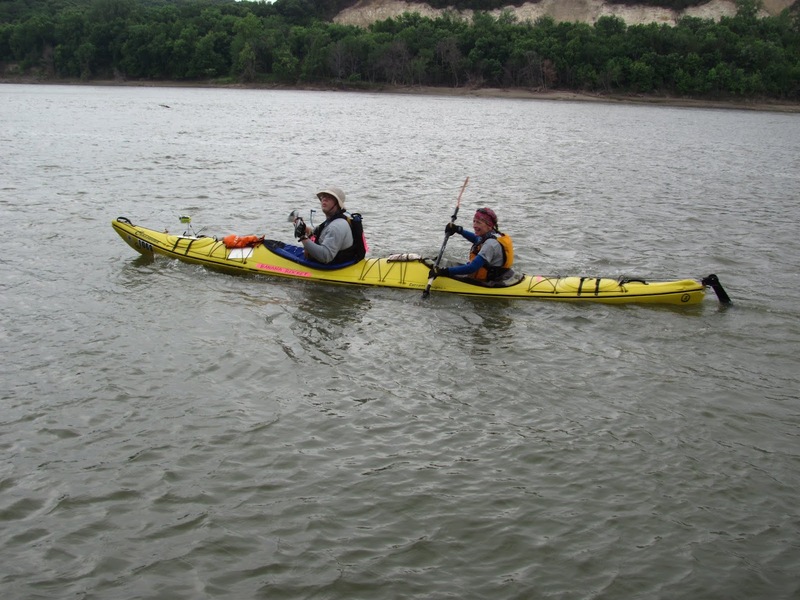 The only mistake I feel I made was following a couple of boats on the north side of the river near the Clay County Rec. Area. In hindsight, I think the south side would have been the correct choice. Oh well, I still shaved off 1 hour, 55 minutes from my 2010 time. Probably a combination of less wind, better shape/conditioning, cruising through the check points, and a wing paddle versus a euro paddle. I've got plenty to think about this summer now. This coming week is mostly going to be consumed in recovering and tapering for the Deadwood Mickelson Trail Marathon on this coming Sunday. But, I think I will try to do some more long kayaking trips this summer. 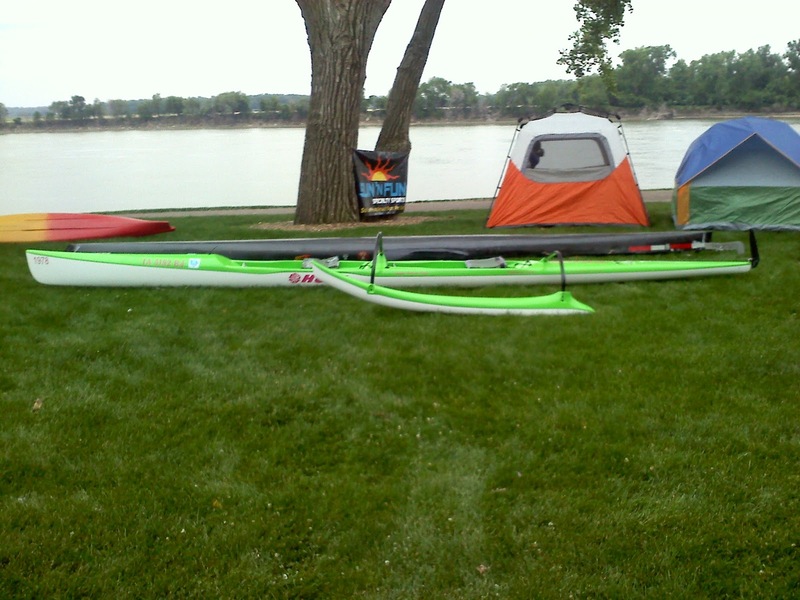 I am very tempted to register for the MR340 in 2013. The two women in the competitive division are 340 veterans and both said that, with the wind, the SDKC was tougher. Apparently, the prevailing wind in Missouri is not a headwind and the wind velocities are not too terrible either (typically).